After my trip to the Ideal Home Show a couple of weeks ago (have a read about the QuietMark Treehouse, it’s phenomenal) one stand that stood out for me was Master Wishmakers. 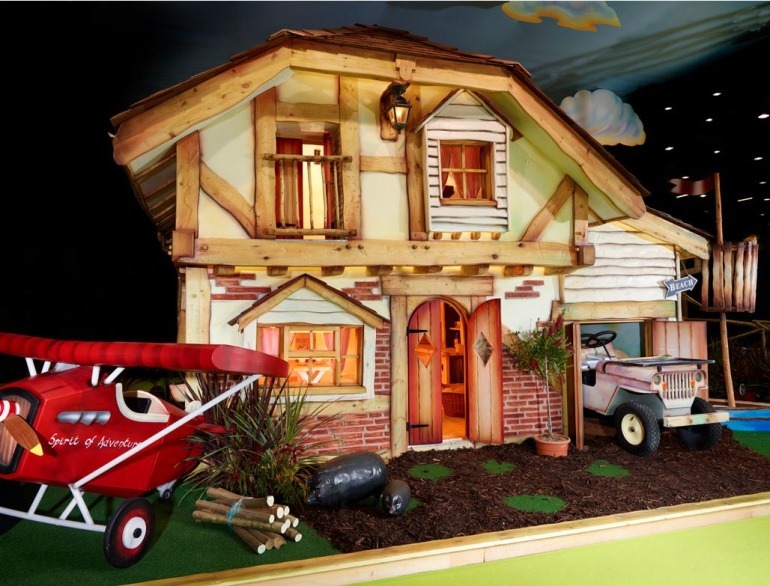 They build the most incredible, bespoke playhouses for children and adults! 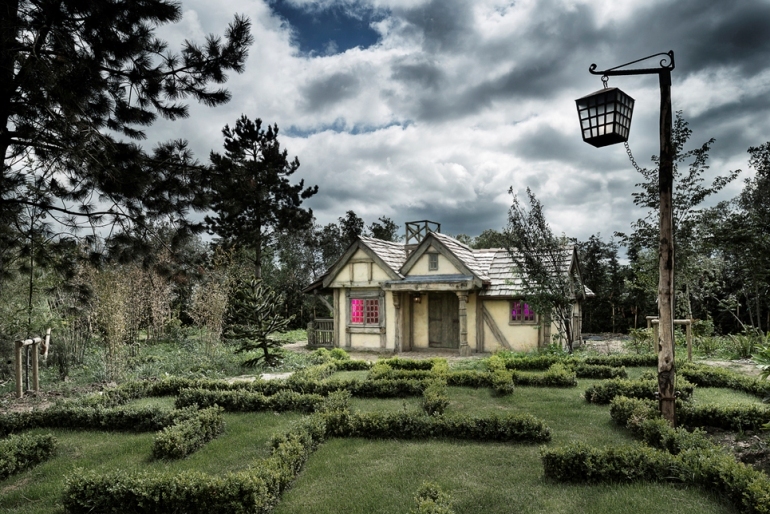 Before we delve into their fun-filled world, I asked Master Wishmakers how they came up with this business idea and how their playhouses have effected people’s lives. 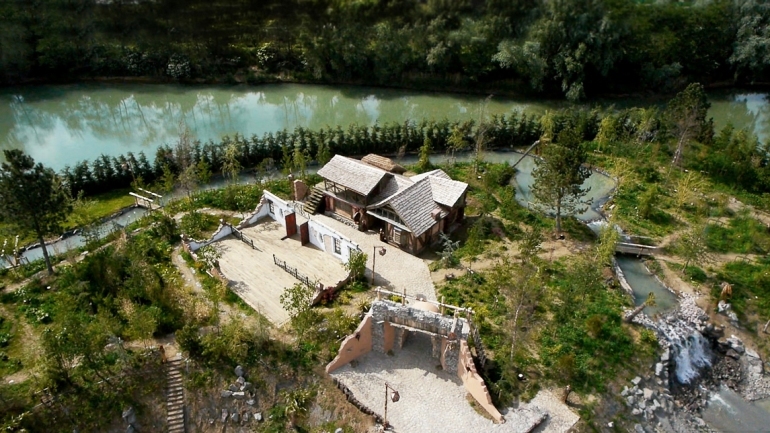 “The Master Wishmakers was set up in late 2011. The co-founders also own a building firm and as we all know when the global financial crisis hit the building industry took a pummelling. The founders then diversified into the luxury sector and transferred their house-building skills, albeit on a smaller scale. Starting small we go to the bedroom, a place the majority of child’s play happens. The imagination that children have is vast and it will only be enhanced with these wonderful creations. 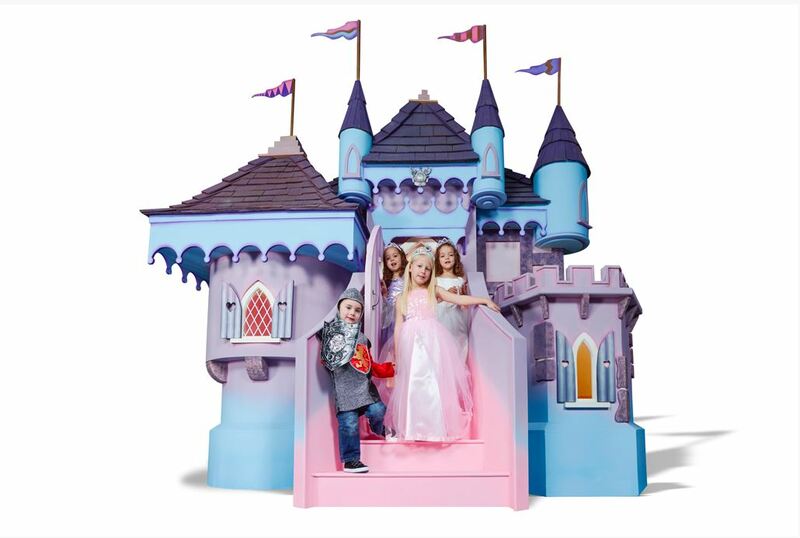 Whether your child wants a Princesses Castle, a Shop, a Garage or an Adventurer’s House, anything is possible as each Master Wishmaker creation is bespoke made to your requirements. 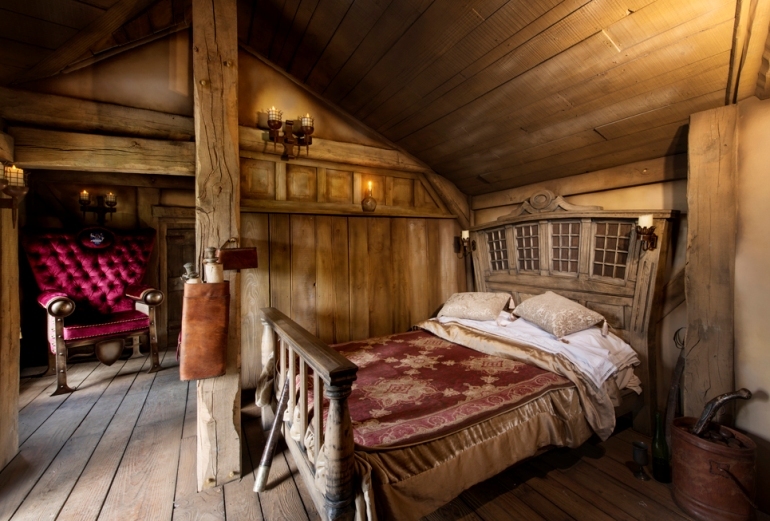 The Baron’s Bunk bed looks amazing fun for two imaginative boys. 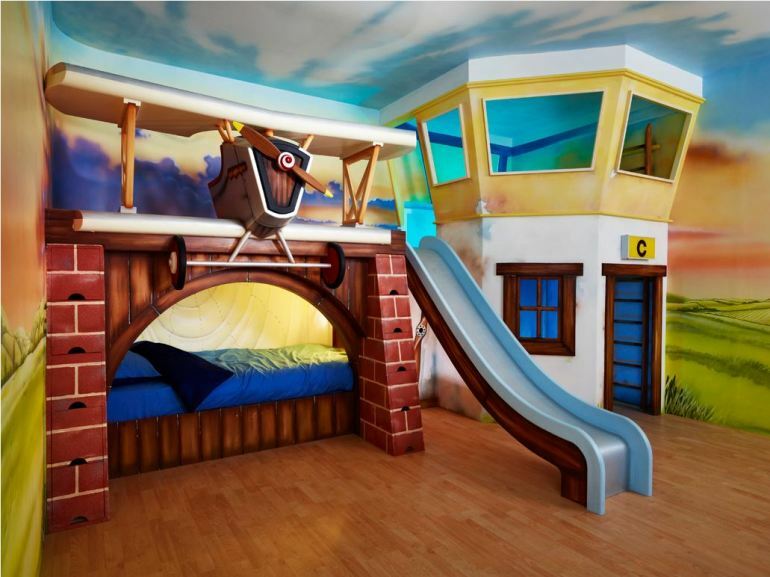 What I love more than the fact the bed is an aeroplane, is that there is a control room and a slide. 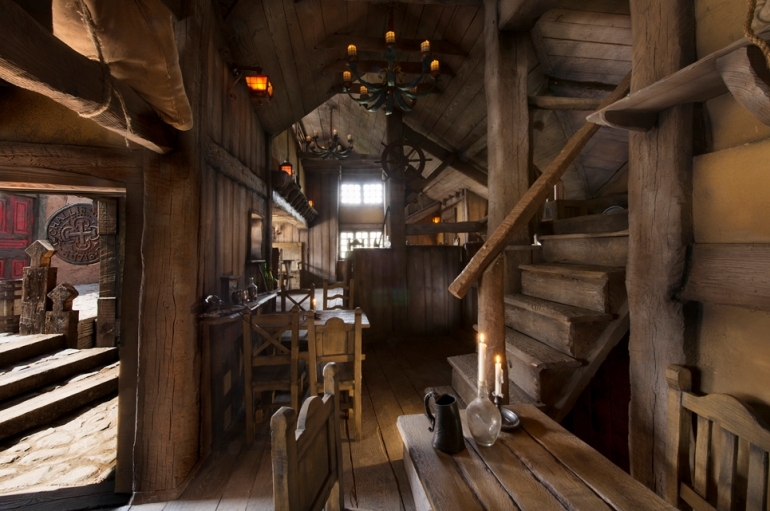 The above is the Adventurers Playhouse which looks like it has come straight out of a fairytale. It has been handcrafted from all sorts of quality materials to make sure it withstands the test of time. 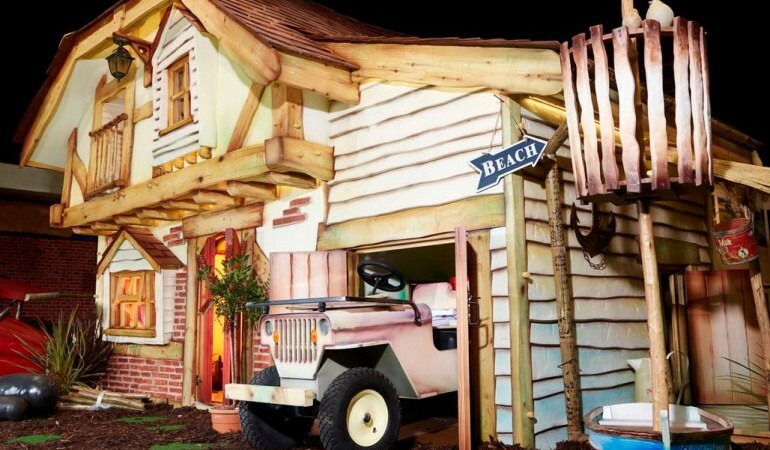 The majority of these playhouses come with mod-cons such as insulation and full electric lighting. As we have said each creation from Master Wishmakers is bespoke and the Hotchpotch shop is no different combining 4 different ideas into one. 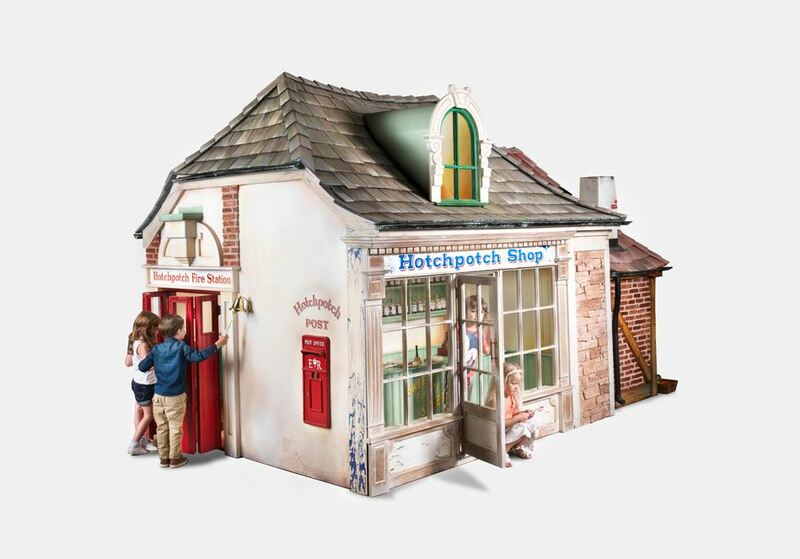 There’s the shop, a Fire Station, a Police Station and a house all in this one playhouse. 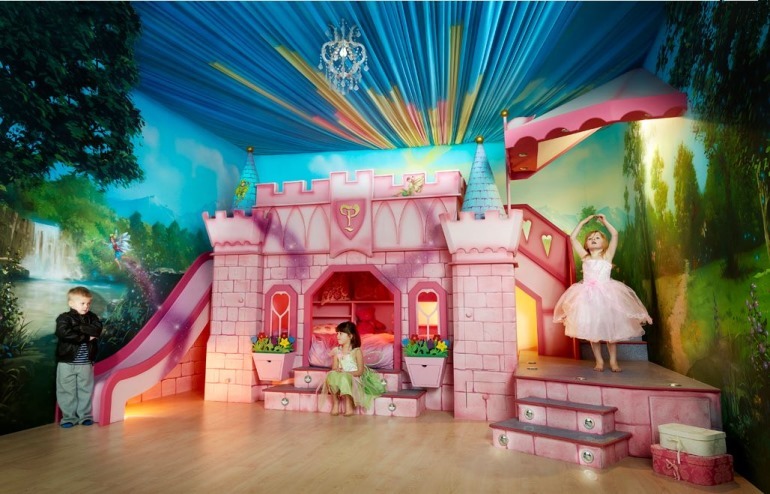 It’s every girl’s dream to be a Princess and have her own castle. Well dreams do come true with this two storey beaut. Finally, we have Revlot’s Garage; my absolute favourite! 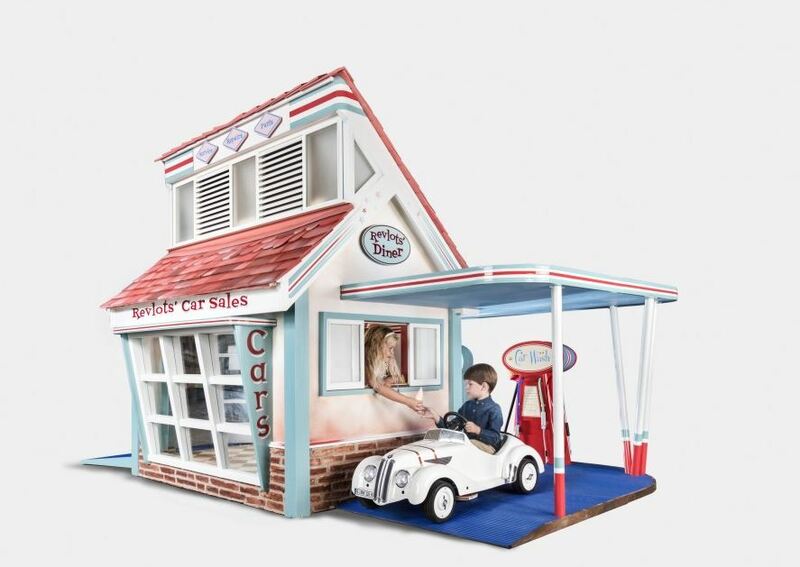 I would’ve loved this when I was a kid, spending hours upon hours making food, washing the cars with the car wash and selling them to my younger brother…for a good price obviously. 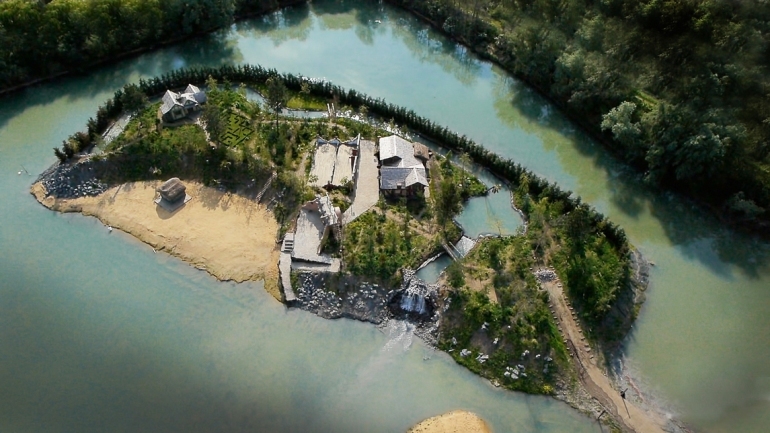 The fun isn’t just for the children though, as an entire island was built for one pirate fanatic. 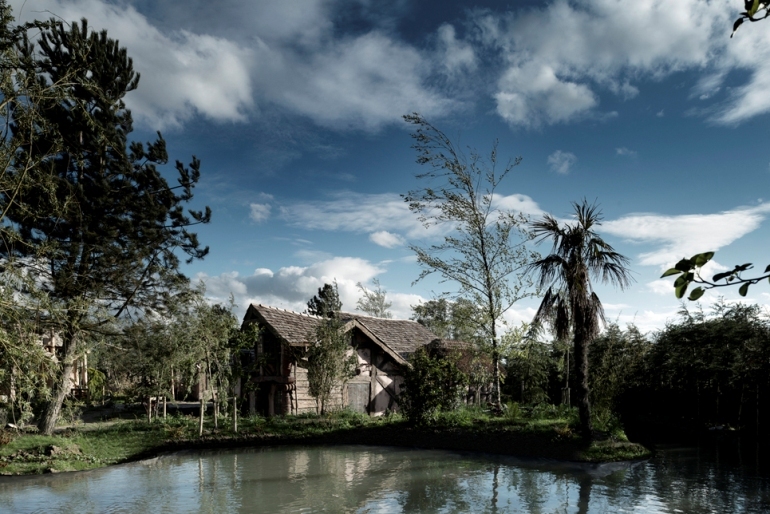 On a lake in the English countryside, a Caribbean island was built to house a fully working pub, a guest house, a decking area, a beach hut on the man made beach and its very own beautiful waterfall. 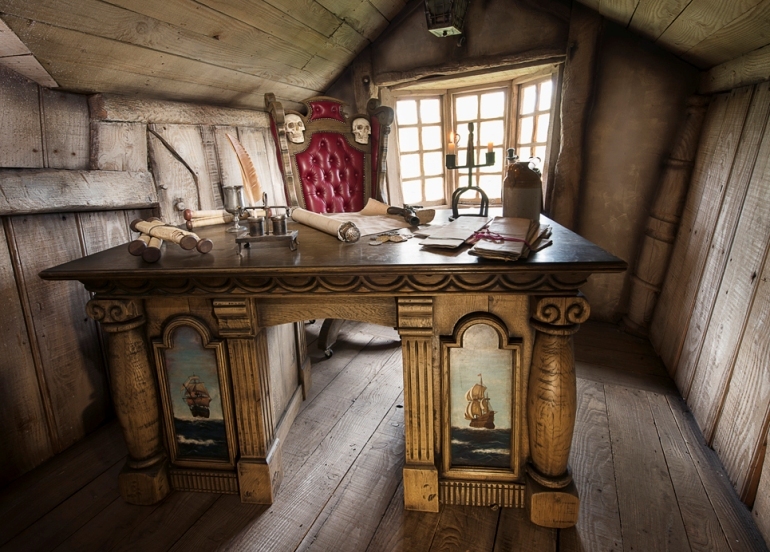 Challis Island is truly exceptional, the design, the finish, the materials used; everything has been done perfectly to create the desired pirate look and feel. Take a look and let us know your thoughts in the comments section.